Participants receiving financial support and staying in the ICTP Guesthouses are automatically registered at the time of check-in at the reception desk. Galileo Guest House, please walk down the slope to the Enrico Fermi building The Finance office is on the groud floor, right hand side. first floor at the Leonardo building. This is a comprehensive workshop reviewing state-of-the-art reactor design concepts, nuclear fuel cycle options including design and technological features of various innovative reactors. The unique course provides basic understanding of different innovative nuclear energy systems. 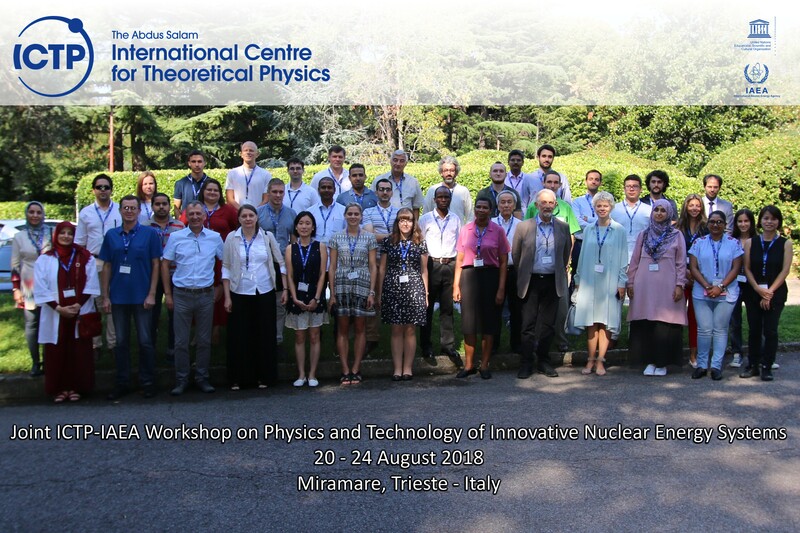 The participants will receive a theoretical foundation on most important research and technology development areas of innovative nuclear energy systems and will get familiarized with the modern physical models and simulation codes for the design and safety analysis of these systems. The workshop aims to engage and stimulate young scientists, researchers, and engineers currently involved in nuclear reactors research, as well as students interested in the field. Active discussion, group activities, poster session and various blended learning approaches will be used to enhance sharing of new ideas and emphasize the need of continued R&D and innovation in all areas of nuclear reactor and fuel cycle science and technology development. In the application form, all applicants are requested to submit a brief abstract for a poster presentation. Only a limited number of contributed abstracts will be selected for poster session. The best poster will be awarded a certificate of appreciation.